In line with its seventh anniversary, Lazada is firing up its marketing prowess with the push of LazMalls and s “Super eBusinesses” across Southeast Asia. The offerings, dubbed super-solutions, are aimed at resolving three pain points that brands and sellers face – branding, marketing and sales. These features, which have been rolled out in conjunction with Lazada’s seventh birthday celebrations, are aimed at brands and sellers, of all sizes, to ensure they are well-positioned to ride the eCommerce boom in Southeast Asia. A series of ‘Super’ campaigns in which LazMall brands and sellers can choose to take part to boost their brand image and better engage with customers. A new marketing solutions package and business advisor dashboard that can deliver more traffic to their storefronts, and arm brands and sellers with near real-time information to help them make faster and better decisions to sell more effectively and efficiently. New tech tools such as store builder for brands and sellers to customise their storefronts to differentiate themselves on Lazada, while in-app live streaming, news feed and in-app consumer games can help with higher consumer engagement. “No seller is too small to aspire, and no brand is too big to be a Super eBusiness. That is why we are thrilled to roll out super-solutions to help our brands and sellers become more nimble in digitising their businesses and better reach customers,” Pierre Poignant, Lazada Group chief executive officer said. Speaking at the launch event, Poignant said backed by Alibaba’s technology and logistics infrastructure, Lazada has been able to launch several tech innovations over the years such as search-image function, consumer engagement games and in-app live streaming to become a “shoppertainment” platform on which people can watch, shop and play. 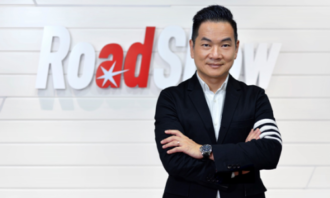 Poignant added that as the eCommerce company inches its seventh anniversary it has now relooked at its mission and vision, and is now aiming to “accelerate progress in Southeast Asia through commerce and technology”. “Southeast Asia is a fantastic region of the world which is developing at a very high speed. In Southeast Asia developments such as mobile, e-commerce, travel, ride-hailing industries are all booming at once accelerating growth and digital world of Southeast Asia,” he said. 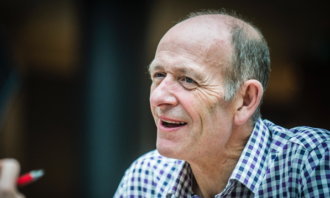 “We are a SEA company and love the region and diversity which also brings a lot of complexity. We want to transform retail, both online and offline. 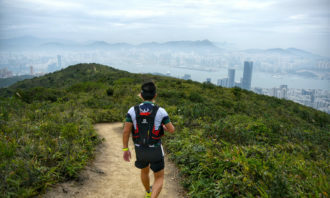 And in the next few years, you will see more initiatives as we integrate with the offline world,” he said. We look to localise technology for Southeast Asia. Poignant added that the next wave of change will come from small medium company and Lazada aims to drive this. “We need to create long term value and efficiency through technology, logistics and payment. We also don’t want to be just a platform for simple buying,” he said. For shopping and retail we need to evolve from search, click and buy to make the whole experience is fun and entertaining. As such, keeping “shoppertainment” in mind, merchants and brands can engage with consumers through live streaming, conversation and games. This is how we believe we will gain eye balls in Southeast Asia and win by combining entertainment and shopping. The super-solutions also allow brands and sellers to open up storefront functions on LazMall easily, as qualified merchants can take advantage of the new self sign-up feature. This comes in line with Lazada’s goal of enabling SMEs to become globally competitive. 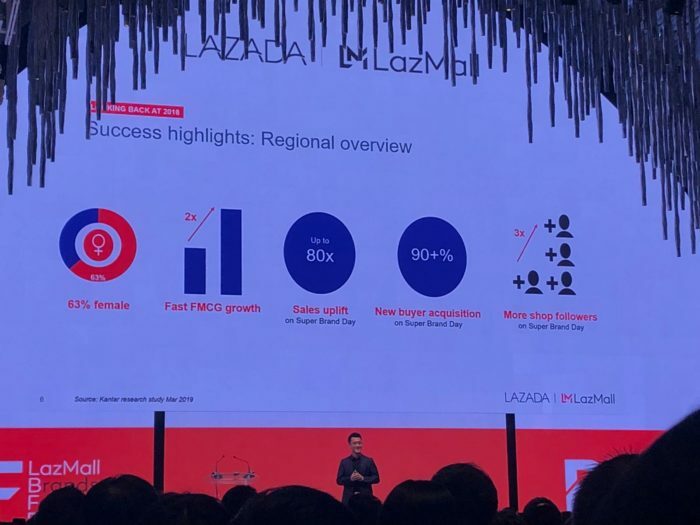 In a statement, Lazada said that across the region, 60% of SMEs are keen to invest in technologies to achieve sustainable growth in today’s digital economy. 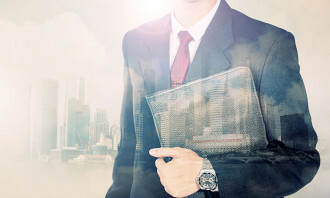 Business-oriented tools including online commerce solutions, customer relationship management (CRM) and business intelligence, were identified as the top investment priorities. In a bid to boost collaboration and strengthen its online retail presence, Lazada has also formalised cooperation partnerships with 12 global lifestyle, technology and fashion companies. Called joint business partnerships, these collaborations looks to enable brands to tap on Lazada’s technology and logistics infrastructure, innovation and eCommerce expertise. The eCommerce platform inked a deal with electronics manufacturers, Realme and Coocaa, while the one with Huawei was signed earlier this month. 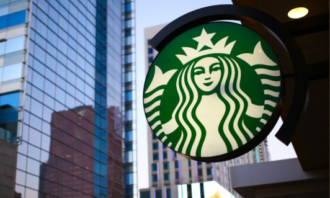 Other brands that are set to join will include several global FMCG companies. 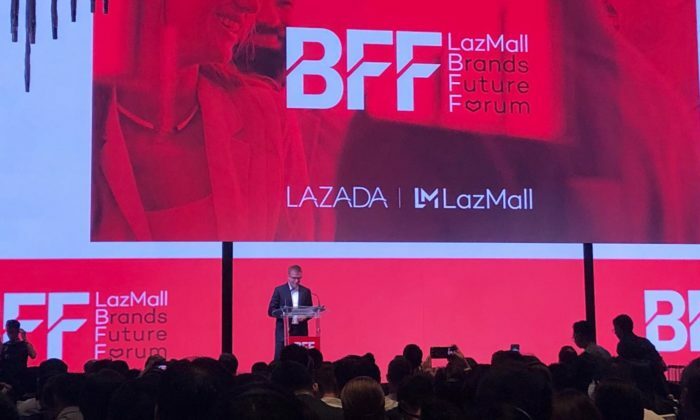 “Since the launch of LazMall in 2018, we have seen tremendous growth among our key pioneer brand partners. We want to extend the benefits of LazMall to even more brands and sellers to elevate their eCommerce operations. We want to incubate them so they can grow alongside us and become sustainable and successful eBusinesses,” Lazada Group president Jing Yin said. He added that the new solutions allow the merchants to have a storefront look and feel, keeping to a brand DNA. We want to give brands and seller sto build store online to own standard. Last year, Lazada also created six super brand days across the region as part of the initiative. This year the plan is to quadruple the effort, and double down on these dedicated days. This comes as South Korea ranks 9th out of 15 in top visitor source markets in 2015, with Singapore receiving about 580,000 South .. The partnership with The Straits Times has brought a unique integrated brand approach for the marketing and communications of NSC .. In this campaign, Alya is personified as a young woman. ..